Several years ago, an eccentric cousin of my father’s called his office and loudly demanded that the chap who picked up the phone hand it over to one “Kutty Ambi”. The poor man picking up the call was confused. It wasn’t a name he was familiar with, not just in that office but in New Delhi in general. He politely told him there was no “Kutty Ambi” in the office and that he must have gotten the wrong number. But Professor Eccentric from IIT was annoyed. He did not believe that his capacious academic mind could have gotten a telephone number wrong. He insisted, with a little more clarity and syllabic spacing, “Please give the phone to K u t t y A m b i”. Before this escalated any further, my father arrived on the scene and handled the situation, because he was Kutty Ambi, and practically no one in his family knew him by any other name. His office, however, knew him as Krishnan and his passport insisted on calling him Gopalasamudram Ananthanarayanan Krishnan. He was mostly just GAK to his professional colleagues and just “Appa” to the three of us (me and my brothers). He spared us long names by keeping our surnames to just “Krish”. He passed away from a brain stroke last Thursday. He was 71. He was the youngest (and most favourite) child of his mother and was born in Nagercoil in 1944 and lived most of his childhood life not too far away in a tiny hamlet named Gopalasamudram by the banks of the Thamirabarani river in Tirunelveli. His father was a brash, unconventional man who lost faith in his religion when his first wife and her three children passed away due to illnesses of the kind not uncommon in rural India in the 1930s. While my father was the fifth child of his mother, he was his father’s 8th child, and thus named Krishnan. He wasn’t a particularly bright student and his father, in complete violation of every stereotype of the Tamil Iyer, was a businessman who ran 3 petrol pumps in Tirunelveli. Practically every one else in the family was a college graduate and worked as clerks and government servants. “Mannennai Kadai Iyer (Kerosene Store Iyer)”, as he was known, was fiercely atheist and did not allow any displays of religion in his home and even asked my father and his brother to go ask the temple priest for a sacred thread if they wanted one. He wasn’t going to pay for any expensive celebratory coming of age function. He did, however, ask his sons to come and learn business at his petrol pumps. It was something that left my father with a deep seated ambition to eventually be self-employed. The family went through heart-wrenching tragedies. My father’s eldest sister was murdered by her in-laws and the petrol pump business collapsed. His eldest brother was mentally disabled and his old man passed away, leaving my father with a broken college education and a disabled brother, but also a mother of tremendous spirit and grit. She persuaded my father to marry and not just spend his life taking care of his brother & mother. His marriage to my mother was a turning point. With her support, he grew from a lowly field sales person to eventually become the General Manager of the company he worked for almost 30 years. It wasn’t a large company and my parents were not rich, but my father spent his savings with a fierce passion that his children should have the kind of education and exposure he never had in a small rural hamlet. But his childhood fascination for being a self-employed man never went away. As my mother continued to grow in her job at Canara Bank and I was ready to join engineering college in a course that largely guaranteed a good job, he took the plunge and started his own business in importing hi-tech equipment for research labs, a move that would eventually break him. As I was seeing the streaming host of visitors who came to pay their respects to him as his body lay waiting to be cremated, I realised that Kutty Ambi was not really suited to be a business man. Visitors after visitors held my hands, and in tears, told me that my father had helped them back in the day. For some it was financial help (from a man who barely had any savings). For others, it was jobs in his failing business. It turns out he employed people to help feed them, not to extract work in exchange for a salary. Turns out that’s generally a terrible way to run a business. I knew my father was someone who tended to folks in the family who had the most complicated of troubles. He skipped the easy ones. He once tried counseling a psychopathically violent husband of a cousin of his who ended up beating him up. He also once successfully persuaded a recalcitrant cousin who refused to attend to her own daughter’s pregnancy because she had married outside her caste, to change her mind. But as I stood watching the mass of tearful folks who told me, one after another, that he had helped them at some point in their lives, I realised why his business ventures didn’t work out. He was more Kutty Ambi and not really much of GAK. He had one hobby in his life. Photography (only film, he never took up digital) and he has left us with albums and albums of photos of all of us at every stage of our lives and being the photographer, he rarely appears in any of them. His way of bringing up children was largely modelled on his mother’s ideas and he let us boldly adventure into areas that most traditional parents would prevent in the name of “passing exams”. Today, Raghav draws beautiful comics, Karthik climbs mountains and I play musical instruments because he didn’t ask us “to focus on exams”. One day in Delhi, he managed to get a certain violinist’s phone number and he called him. The man on the other end of the phone brusquely told him that he did not take students. My father told him to just hear his son play once and then decide. He insisted that he was too busy to take students and cut the call. After several tries, the man finally agreed to hear me play. My father drove me, all the way from South Delhi to Delhi University old campus where we walked into a cavernous Raj era bungalow (with a fireplace no less) where I played “Vaataapi Ganapathim” for this bespectabled, taciturn violin genius named TN Krishnan. He agreed to teach me and I owe my interest and ability in music today to both these Krishnans. He spent most of the last three years babysitting my son, taking him for long walks inside Theosophical society and blowing balloons on demand. As I was stuck in Toronto when he passed away, the family put his body in an ice box while they waited for the eldest son to arrive. My son, my wife tells me, knocked a few times on the box asking for “thatha”. I don’t think he realises what has happened, but I’m sure he misses pretty much the only person who did his every bidding. As one gets close to 40 years old, one realises deaths in the family are part of the timeline of life. And that, on the face of it, he was one of many people in India who started their lives in a small village, struggled in a pre-liberalisation country starved of job opportunities and got the short end of the stick when it came to success in running one’s own business. He was also one of millions of parents who sacrificed their comfort to produce the generation of children who are now reaping the benefits of India’s economic growth. He was also one of millions who struggle regularly to figure out how to make a Skype call to see the faces of their grandkids and be clueless in the face of having to deal with exponentially maturing technology. But GAK was also a strict disciplinarian boss in his working days and an uncompromising and often stubborn father who rarely listened to advice. His employees were often afraid of him and his attention to detail could sometimes be exasperating. He had little or no financial sense and tended to spend based on gut feeling and blind trust. He also had one terrible habit. He disliked doctors, abhorred hospitals and refused to undergo even basic medical tests despite his age. GAK regularly ignored occasional moments of disorientation and memory blanking that started occurring in the last few months. He clearly didn’t google his symptoms (as I did after my mother told me of them) and GAK didn’t realise that Transient Ischemic Attacks will almost always result in a massive, fatal stroke. There is a particularly tough moment during the cremation rituals where I, as the eldest son, have to hold his head in my lap and chant some mantras while pouring water (from the Ganga) anti-clockwise around his face. It is a strange feeling to hold the head of someone who is dead. For a moment, it makes you question rationality in how this inanimate mess of largely carbon, hydrogen and oxygen was once alive and took my son out for walks, persuaded TN Krishnan to teach me, drank extra cups of payasam at every wedding with his sweet tooth, believed in astrology and even once sent 20 dollars to a deposed Nigerian prince. GAK died on 24th September, 2015 but but Kutty Ambi, as I heard from everyone who visited home to see him off, will forever be alive because he touched more people’s lives than I realised. My heart-felt condolences to you on your great loss. I’ve been a big fan of your writing style for quite some time now and this poignant memoir adds a completely new layer to it. I’m also glad that you wrote your memories about him, because time has a cruel way of smudging out the details from our memory. Karma Yogi- he definitely was..May his soul rest peace and the almighty give you and your family the strength to bear the vacuum and agony. Take heart! Condolences. And, you are touching more lives than you realise. Condolences. Having lost both my parents in a span of 12 months, the most recent being in End August15, my thoughts feelings mirrored yours. Many of his generation sacrificed their all for making sure our Gen succeeded and didn’t go through the deprivation they went thro. Being an agnostic, doing the 13 day rituals called for in an Iyer household led to severe introspection on the meaning of life. Glad I did it even if I did not believe too much in it. It was the least I could do for their sacrifices. Heartfelt condolences for your loss sir. Your words have taken us through the life that he has lived and leaves us with a feeling that mere words cannot explain. May his soul rest in peace! A very moving post! Heartfelt Condolences. A perfect tribute. Superbly written. Thank you for sharing this. How well you write of your Dad. 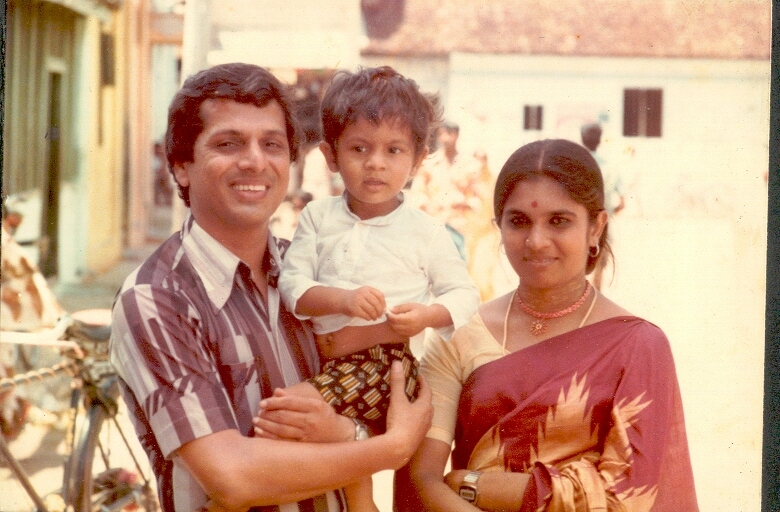 You’ve captured the essence of Ambi Kutti so well & of all the accompanying influences that made him your uique Dad. My sincere sympathies to you & yours. Especially to the little one who knows not where “Thatha” has gone. Keep making music, keep writing. It is sustenance to many I am sure & a great pleasure to me. Sincere condolences. Takes a very long time to overcome a loss of this nature. A well-crafted tribute to a commonly found uncommon man. Beautifully written, Krish. I’m back to your blog after a long time and I feel deeply rewarded. To be able to translate into words almost a lifetime of emotions, thoughts and memories of a parent who has ceased to be is no mean feat. Dearest Ashok, I’m so sorry for your loss please accept my deepest condolences. I’m sure Kutty Ambi was very very proud of you! My deepest condolences Ashok to you, Karthik and Raghavan– and your family in this moment of sorrow. Also my compliments to you on a well written piece but even more than that I salute your father for being the humanitarian that he was and the fact that he took pains to raise sons like you and your brothers who are making a impact on the world by living life out aloud and thus touching and changing the world. Really Sorry at your loss. May God give you the strength to bear your Loss. Dear Ashok, my heartfelt condolences to you and your family. May God give you the strength to get over this moment of grief as soon as possible. My deepest condolences. In some ways, the best we can hope for is that we are remembered fondly after we pass. Your father will be, not just by the ones he helped, but to a lesser extent even by those who just read this. Condolences to you and your family and a very poignant way of remembering your dad. The people of that generation were the most hardworking and for the sake of the family and siblings and never for themselves. My condolences. I read not about your father alone, but as you said millions of fathers across the country who had gone through the same struggles. As we enter our old age, we can certainly take some inspiration from your father on how to lead one’s life. After all what mattered the most at the end were the kind words you could hear when his friends came to the funeral. That is some legacy to leave behind! I dont know you personally. I found your tribute was moving. A son’s understanding of his father actually begins at the death of his dad. And, grows over the rest of his life. I have experienced this. I see you have just begun. A father’s influence lives on and grows on a son. His passing is physical. Deepest condolences on the loss, Ashok. I felt as if you have written about my dad when I read this. The small town struggles, failed business, abhorrence towards doctors and even basic medicines, putting others’ need before his, no possessions in his name, struggling with technology, stubborn man who never listens to anyone – every single trait of your dad matches my dad’s. Though I don’t know you personally (know you thro TCS) I couldn’t help feeling sad for the loss because I could draw parallels. I’m trying to persuade mine to health tests and healthier way of life, hope I succeed. Heart touching write up. May his soul Rest in peace. 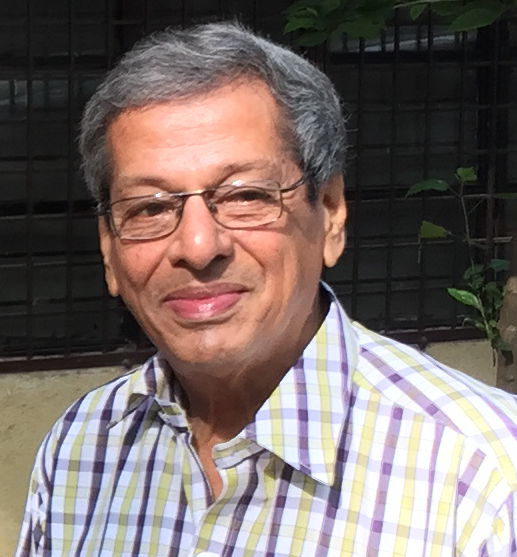 My dad’s name is also Krishna..
Krish Ashok..Sincerely sorry for your irreplaceable loss..sorry that we couldn’t meet this summer in Chennai..you have expressed about this Great Man so well..such a heartfelt tribute..take care at this time..
Hard to think we all have to face this sooner or later.. The equipoise you have managed to summon to write this, is quite difficult for me to even fathom. No matter how well you write an obituary for a loved one – and this one is particularly well written – you are apt to feel that you have reduced the person to some form which is amenable for audience digestion. The more wholesome and coherent the image in the write-up is, the more representative the anecdotes seem, the more flowing the biographical narrative – the more one feels one has reduced the person. So, I hope you struggled to write this and remain dissatisfied. Here எச்சத்தால் is conservatively interpreted as ‘children he leaves behind’, but more liberally interpreted as ‘everything he leaves behind’/‘has touched’. Wish you and your family strength. I agree that it’s always nearly impossible to avoid the narrative fallacy in almost any form of writing. Obituaries are particularly difficult and I can never be satisfied that this is somehow a complete and coherent picture of a complex human being who lived for 71 years. That we have evolved this remarkable ability to condense and capture a glimpse of someone using words on a page is truly special but you are right, everything form stories to news reports are regularly victims of handpicked anecdotes & pre-crafted narratives. My heartfelt condolences to you and your family. Your father’s wonderful legacy will keep him in memories long after his time. After reading your memoirs, I feel I should have written about my pa. I will now. Poignant piece on your Dad! I am sure he his words and actions will keep inspiring you for years to come. Sorry for your loss. Really a moving write up, about the great loss. A perfect eulogy. Stay strong and do keep writing. It’s been long since you have updated and we are looking forward to more. My heartfelt condolences to you and your family sir. This is such a beautiful tribute and your father sounds like a wonderful person. Keep his memories alive 🙂 my sincere condolences and prayers that he rests in peace. My deepest condolences to you and your family, Ashok. What a wonderful tribute to your father! His legacy lives on – in the form of you and your brothers. And, using you guys as exhibits for evidence, one can safely say he did a fantastic job as a parent. Wish you and your family the very best – take care of yourself and the family too. Very poignant and touching write up bringing out, the the love,intimacy, and the respect you have for your dear divine dad, while you painted his life sketch. May God give you, your mother / wife, your brothers, your little son & others in the family, the strength & fortitude to bear the loss. May the departed soul attain Siva Saayudjayam (oneness with the creator / supreme). I wish that you and brothers do all the laid down ceremonies with faith & dedication. When you know the rationale you would. for each day’s cermoney . All three are available in either Bhavani Book Centre West Mambalam or Giri Trading Mylapore. 02. I am a fan of your witings since your blog on your Grand Ma ( the great lady Meenakshi) and have also been a critic of you. Incidenatally I share the year of birth with your divine dad and am able to apreciate all that you have written about him. Let me sum up saying “To live in the hearts of those whom we leave is not to die”. The blessings of your divine dad will always be on you all. And thanks for sharing. As a distant ,often disconnected, colleague it helps to connect at a deeper level . Beautifully written and gives a great glimpse of a person’s lifetime. so well written…. prompts the reader to celebrate the glory of the life that was, than to mourn the passing…. Deepest condolences, Ashok. Such a beautiful and moving tribute to a great dad, reading this makes me feel the great loss in not having had the opportunity to meet this wonderful person. Thank you for sharing. Prayers with you and family at this time. Hearfelt condolonces Ashok. Your post comes at a time when i have just lost my father (on the 16th) and grappling with the loss. The family struggle and sacrifices that you have mentioned, is true for that generation. May your father’s soul rest in peace! My heartfelt deepest condolences. Wishing for immense strength to you and your family. My sincere condolences.. Thank you for sharing this with us.. This story will always stay with me. My deepest condolences, Krish Ashok. A poignant tribute in one of your best mediums. Heartfelt condolences to you and your family sir!! ” I , as the eldest son, has to hold his head in my lap……………..”. True, it is a very tough moment indeed . (I could not bear this moment when I did it, even though I was 55+ / 58+ then. Doing this for one’s mother is still heart breaking). The belief is, any one is happy and comfortable to meet his /her end lying on son’s lap, the most comfortable / care free place. As we were unable to give this comfort @ their last moment, (for so many genuine reasons), to the one who gave all his /her comforts to us , we are asked to do that ritualistically. For the childless or orphaned, our faith is that “Shiva” does this. To avail this comfort only many such, choose to go to place like Thiruvaiyaru, Sri Vanchiyam etc. in the South or Kasi in the North, and spend the rest of their lives there praying for such a comfort from Shiva. My heartfelt condolence. May his soul rest in peace. Wonderful tribute Ashok. Very well written. My sincere condolences. RIP. Very well written, Ashok. I am sure that his legacy lives on in the three of you, spurring you into doing things out of the ordinary. Ashok- condolences to you and your family at this tough time. We lost my paati earlier this year and your essay really moved me. You’ve captured the essence of your father so beautifully. I hope your son grows up knowing what a great thatha he had the good fortune of getting to know. Heartfelt condolences Krish. I’m sure ‘Kutti Ambi’ and ‘thatha’ will always live in the memories of the people whose lives he touched. My deepest condolences to you and family. What a great and fitting tribute you have paid by writing this. Really feel sorry for so much of the difficulties he had to face and undergo but also admire the way by which he handled them with great strength. He must have been a tremendrous inspiration not just for your family but for all the people who would have interacted with him. Sorry to hear about your loss Krish. He rests in peace in a place where worries cease to exist. He must be a proud father. Take care! Thanks Krish for such a wonderful tribute to your father. I came to know of this few days ago and it was a shock. My mother and your grandfather were cousins. I remember Kutty Ambi from the Gopalasamudram days when as a boy of ten, I would be there to spend a few days during my school vacations. I met him a couple of times after I settled down in Chennai after retirement. The same smiling youthful face and the deep voice that resonated with genuine affection and warmth greeted me whenever I met him. A genuine person who touched the hearts of all those who have had the good fortune of meeting and knowing him. My heartfelt condolences to your family. Codolences.I am a silent reader of your blog . I particularly liked this one because it reminds those of us whose fathers are no longer with us about our loss. I am a friend and was a colleague of Mr Madhavan Nair. Very touching and heartfelt write-up Ashok. Unfortunately all our RIPs may be too trite to give you solace. You have captured a moment and slice of Indian history, of parents’ sacrifices to make the way for our way of life now, excellently. There are echoes in all our minds, as we read the article. And yes, if we measure aishwaryam through money, its one equation. But good deeds, helping nature, kala poshanam etc. also has value, though not immediately tangible. God Bless. Deepest condolences sir. I don’t have any words or knowledge to write something that eases up the pain of such a big loss. I hope you and your family will cope up. Life and death are the biggest forces that can change the life course of the others around the one who left. They way you have written, I am sure, you will keep making your father happy, wherever he has gone. I’ve been silently following your blog for a few years. I cannot remember who led me here, but I am thankful. I get email updates, and I honestly did not really remember your name- I’m just always excited when I see that I have an email from ‘Doing Jalsa and Showing Jilpa’. I’ve shared, and spread your word. This post though. I lost my dad early last year, and I’ve struggled to write about it. I feel like it’s all building up, and a few years hence, I will have the words to talk to the world about the wonderful wonderful person he was. I’m also scared I’ll forget, and won’t be able to write in a few years. I too was amazed by the people who showed up for his ceremonies- the number and their kindness. Ashok, thank you for sharing this. Heartfelt condolences, Mr. Krish. My heart goes out to you and your family. Your post brought so many images of a man whom I have never met, but by the time I finished reading your ode, somehow felt I had known him. As diminishing as it may seem to write an obituary for a parent who is no more, narrative fallacies notwithstanding, if you can even muster the courage & composure to give shape to your grief & memories through words like you have beautifully done here, then I guess the alternative of not doing it at all may be even less helpful in the process of grieving. At least, that’s what I think. I am very sorry to hear of your father’s passing away. My deepest, and heart felt wishes of solace and comfort to you and your family. Condolences on your loss, Ashok. Your father’s is an inspiring story of selflessness, commitment to work & family, perseverance and hard work. Strength to the entire family to get over this loss. My deepest condolences for your loss Krish Ashok. What a beautiful tribute to your father! May his soul rest in peace. My father & father-in-law are also 1944 born..and both are inveterate photographers chronicling family history though the years. Your tribute brought to the fore something that has been on the fringes of my consciousness…the time with our parents is now limited and we need to listen their stories before its too late. I am sorry for your loss, but glad to see you writing again. I am very sorry for your loss, Ashok. Thank you for sharing your father’s remarkable journey with all us readers. May his soul rest in peace. Reblogged this on Part-broken, Part-whole. Heartfelt condolences. A well written tribute ! Heartfelt Condolences to you and your family Krish. Dear Ashok Heartfelt Condolence to you and your family.I love your father very much because He is the Harmless Character, is a real miss for every one. Ashok, lurker here posting a first comment. Condolences on your loss. I suppose it would have been like your father to dispense wholesome financial advice to the Nigerian prince along with the $20? Deepest Condolences. I can relate to your lines ‘ will forever be alive because he touched more people’s lives than I realised’, having lost my dad recently. May be it’s a cruel irony that we tend to appreciate something after we no longer have that.